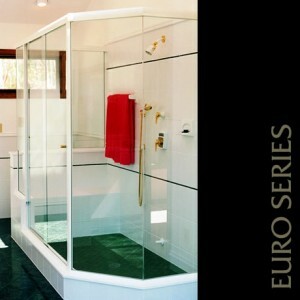 Cardinal Shower Enclosures offers several trim levels of sliding door enclosures, from the basic Cardinal Builder series up to the luxurious Heavy Euro and Apollo series. Framed sliders have metal all the way around the glass while frameless sliders have clips holding the top of the glass. Be sure to check out the Cardinal S-Curve option. 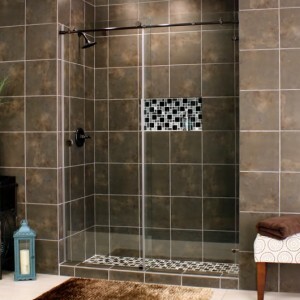 It can dramatically change the look of a basic shower enclosure. Our basic contractor-grade slider. An elegant design and built strong. Eloquently designed, precision engineered and beautifully finished framed and frameless enclosures at affordable prices. 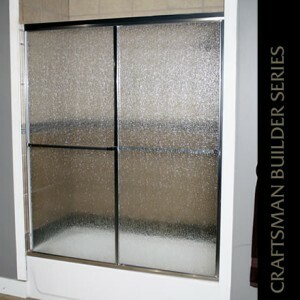 Contractor grade solid framed sliding door enclosure. High-quality, fully-framed bypass sliding door enclosures priced competitively. 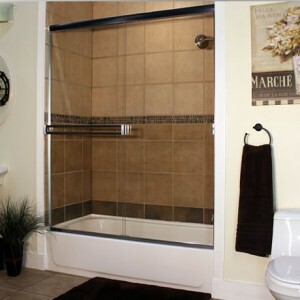 This series can accommodate nearly any sliding door configuration and glass selection. 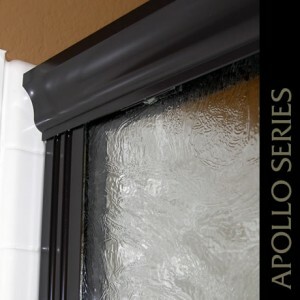 The Apollo header resembles crown molding and the wall jambs fluted wood. This modern sliding panel rolls along on large exposed wheels on a single rod. Con-Tech Companies has been proudly serving the St. Louis Metropolitan and Surrounding Area since 1985.